Use wire cutters to cut the florist wire into three inch long pieces. 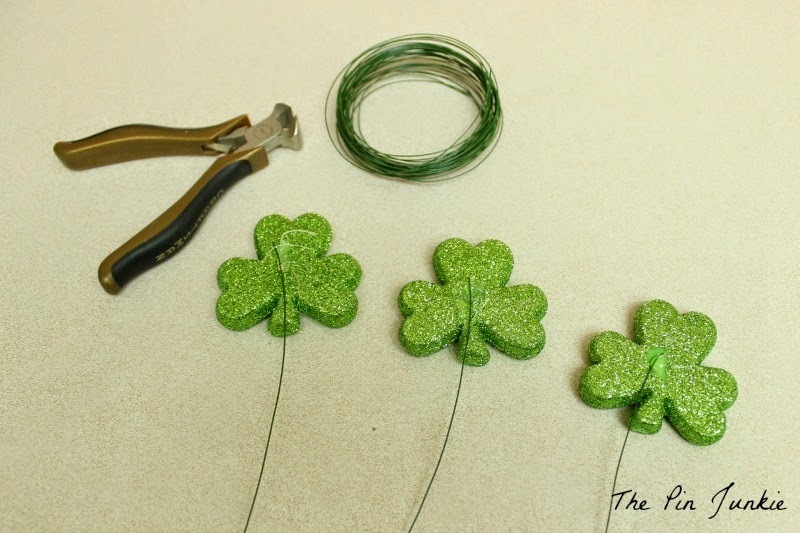 Then use a glue gun to glue the florist wire to the back of the shamrocks. These will be the stems. 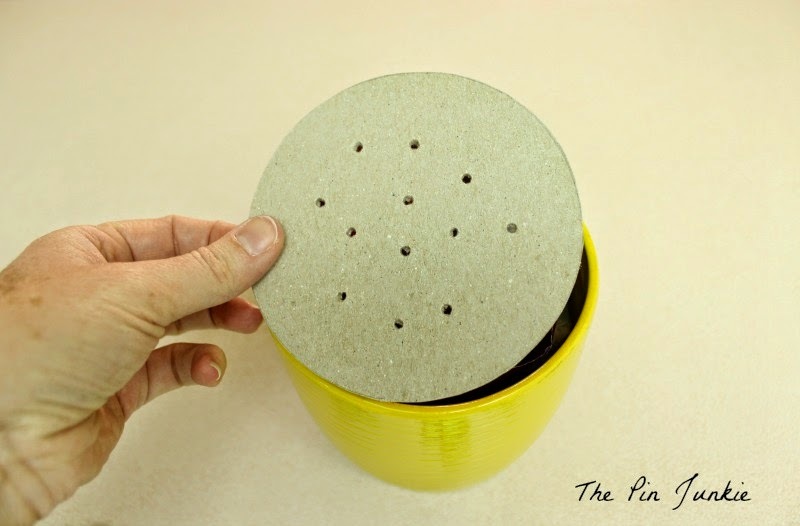 Place a piece of florist foam in the pot to fit snugly. Go ahead and trim some of the foam if needed to make it fit. I also placed a piece of cardboard on top of the foam. This it totally optional. 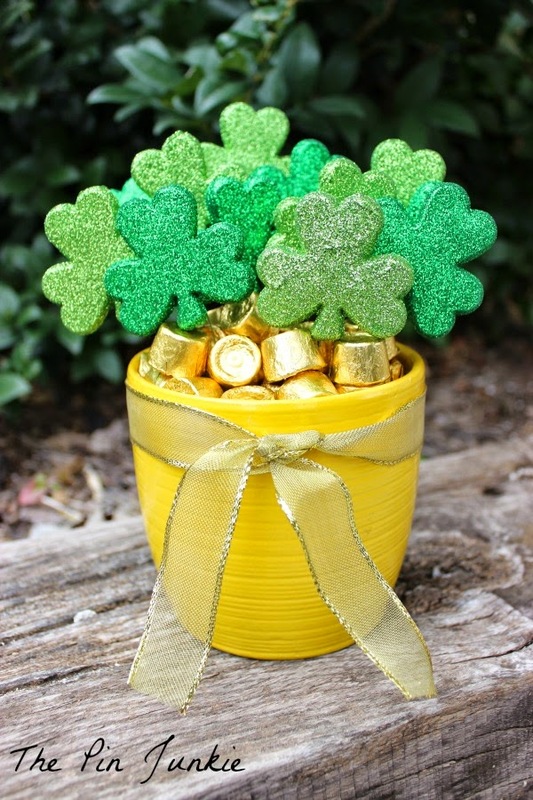 I just did it to keep the candy from falling down into the spaces between the pot and foam. 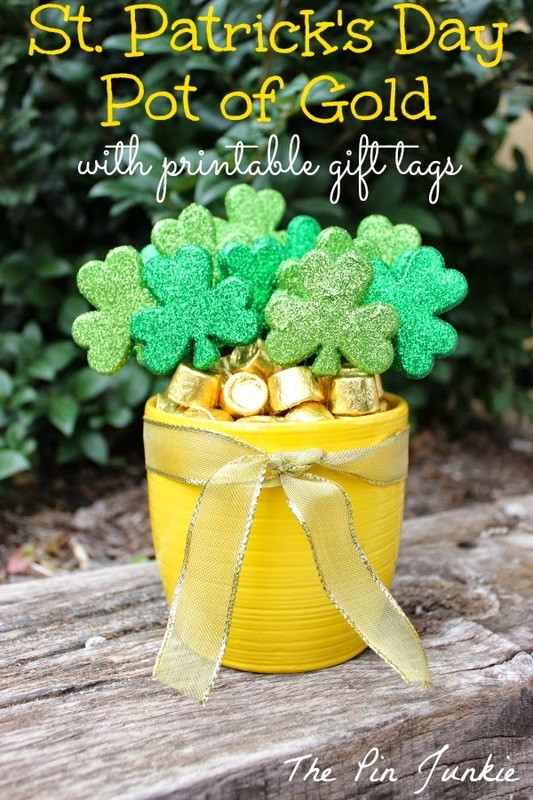 Poke the stems of the shamrocks through the holes of the cardboard (if you're using it) and into the florist foam. Top with candy. 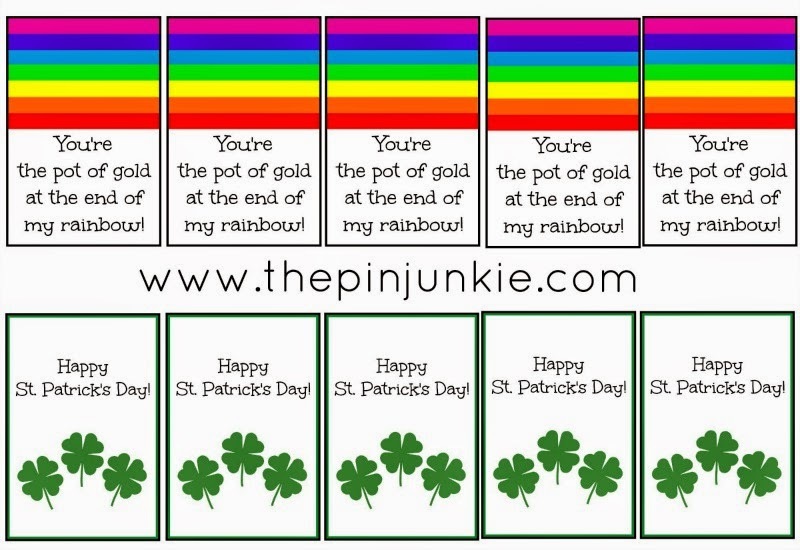 Add a ribbon and one of these printable gift tags. And you're done!